Claude Alain Mottier, beloved son of François and Ann Mottier, grandson of Karl Ulrich and Helen Schnabel, and great-grandson of Artur and Therese Schnabel, left a striking legacy of courage and personal accomplishments. Though Claude, a gifted pianist who received a Bachelors degree in piano performance, excelled in such diverse fields as biological science and linguistics during his short life, his overriding passion was always music. He brought intelligence, intensity and grace to everything he was involved in. Claude was born on June 20, 1972 in Zurich, Switzerland. At an early age it became obvious that the central focus of his life would be music and piano playing. After performing in numerous programs in elementary and high school, he was chosen to play in several recitals at the Hartt School of Music, including the Community Division Piano Department’s yearly Honors Recitals. Meantime, Claude was also making his mark in the world of science. In 1985, 1986 and 1987 he participated in the Connecticut State Science Fair, winning important prizes for his original research into “Binaural Hearing.” In 1985 he received the coveted “Innovation Prize” of the United Technologies Corporation for his work in demonstrating cross-coupling of left and right ear hearing. In the following year he garnered the Computer Research Prize of the Travelers Insurance Company for his Pascal program that controlled the sound generation for his experiments with student subjects. Claude’s Science Fair exploits culminated in his freshman year in high school, when he received the Second Place Award in the Senior Biological Division for his work in psychoacoustics, as well as a special Computer Science Award, a Sigma Xi Award and a Marine Achievement Certificate. His project, “Diplacusis: Interaural Differences in Pitch Perception” was also presented at the 38th International Science & Engineering Fair in San Juan, Puerto Rico (sponsored by General Motors), for which he won fourth place. For this honor, he received congratulatory letters from national figures such as Senator Lowell Weicker, Senator Christopher J. Dodd, Representative Barbara Rapp, and William A. O’Neill, Governor of Connecticut. Claude also continued to distinguish himself in the field of music. In 1985 he was awarded the first prize in the Audrey Thayer Piano Competition, which was sponsored by the Connecticut State Music Teachers Association. In 1988 and 1989 he won prizes in competitions and performed at Honors Recitals sponsored by the Hartford Symphony Young Artists. 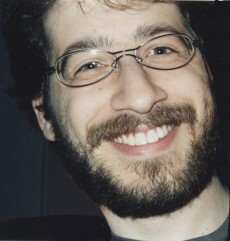 He continued to compete at the Hartt School, winning 2nd prize in the famous “Renee B. Fisher Award for Outstanding Achievement in Music by Young Connecticut Pianists.” In April 1990 he participated in the Young Artist Chamber Music Competition sponsored by The Camerata Ensemble and received first place in the ensemble category. Claude took part in numerous music festivals as well. In 1993-1995 he was at the Aspen Music Festival and School in Aspen, Colorado, and between 1990 and 1992 appeared at festivals in Girona, Spain; Sion, Switzerland; Oderzo, Italy; Blonay, Switzerland; and Putney, Vermont, USA. Mr. Mottier studied with a talent scholarship and majored in piano performance at the Hartt School of Music, University of Hartford, and graduated in 1994. His teacher was the Brazilian pianist Luiz de Moura Castro. Claude participated in multiple musical activities, among others coaching singers and playing in various chamber music groups. Eric Seddon, one of the participants of such a chamber music, group recently remembered his encounter with Claude in an essay “Eric Seddon Remebers Claude Mottier”. From 1994 to 1996, Claude studied with Gabriel Chodos in Boston (See Gabriel Chodos’ tribute). But he was developing acute tendonitis in both arms, and because of this difficulty, was forced to readjust the direction of his life. He decided to pursue linguistics at Arizona State University in 1996. He was already bi-lingual in Swiss-German and English, fluent in German and French, and had some familiarity with Italian and Spanish. In May that same year, he was diagnosed with a brain tumor. He decided to go to Arizona anyway, and studied there for three semesters, returning to Connecticut in December 1997. He was accepted into the PhD program in linguistics at the Graduate Center of CUNY and was granted a four-year fellowship. It was there that he met Erika Zoe Schutzman, whom he married on Nov. 13, 1999. As Claude searched for ways to incorporate music into his life, he became even more cognizant of his extraordinary musical heritage. In September 2001 he gave a paper at the Schnabel Symposium, which was part of the Berlin Festival, exploring his grandfather’s (K. U. Schnabel) concepts of expression in music. This paper: Karl Ulrich Schnabel’s Approach to Expression is presented in its entirety here. Dr. Werner Grünzweig, the Director of the Music Archives at the Akademie der Künste , Berlin, Germany, has written a short account of Claude’s contributions to the world of music , specifically describing the Schnabel’s way to speedy chromatic scales. This article is reproduced here with permission of the author in the all English version translated from the original English/German version. Then, on August 14, 2002, Claude Mottier became the innocent victim of a traffic accident. His grieving parents, in an effort to give some meaning to this event, searched for a significant way to memorialize Claude and somehow further the lofty musical goals he had set for himself. The result of this searching was the formation of the Schnabel Music Foundation. It is their fervent hope that Claude will thus be remembered and honored, through the celebration of music and the promulgation of the Schnabel legacy.